Sir Martin Sorrell, the WPP Group chief executive, and Mark Zuckerberg, the Facebook co-founder, are represented as the two faces of media this week - that's old media and new media - in terms of executive pay. Zuckerberg has cut his pay to the notional amount of $1 (64p) and in so doing, joins an exclusive club of chief executives who have made similar moves. Sorrell on the other hand, who has long been dogged by rows about his salary with shareholders, agreed to cut his pay by £100,000 to £1.2m. While Sorrell has cut his pay, he is still earning many more millions through his leadership of WPP. For instance, last year he saw a 60% rise in compensation to £12.9m. This was not welcomed by WPP shareholders who made clear their opposition to his pay package with a 59.5% vote against the company's remuneration report. The vote might be non-binding, but it is an ongoing irritant between the WPP and its investors. 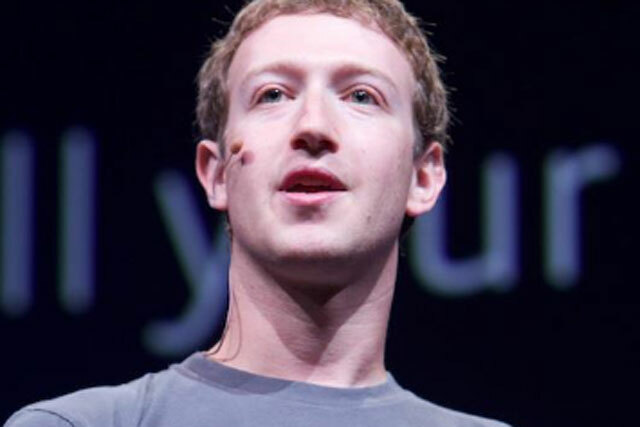 Zuckerberg's new pay deal gives him around 8.5 cents a month to play with. The move puts him in same club as Google founders, Larry Page and Sergy Brin, and HP CEO Meg Whitman (although she did pick up $16.5m (£10.62m) in total compensation), who also take a $1 annual pay cheque. Granted the $1 and £1.2m Zuckerberg/Sorrell comparison is perhaps an unfair one, considering that the Facebook co-founder is also a multi-billionaire. Zuckerberg did also exercise options on 60 million Facebook shares at the time of its IPO in May 2012 and gained around $2.3bn (£1.5bn). He sold 30.2 million shares for $38 (£24.46) each in the IPO in part to settle his tax bill. Sorrell's wealth, although considerable, does not run to the same levels as Zuckerberg's. While he is the richest ad man in The 2013 Sunday Times Rich List, his stake in WPP is worth around £200m, which gives him a total estimated worth in excess of £210m. Earlier this year, he accepted close to £11m in shares as part of the ongoing performance of WPP. When it comes to Facebook, it is a subject that Sorrell has had much to say about. He recently said that Facebook is a media owner and a competitor to WPP, a comment he reiterated at the FT Media Summit last week, while earlier this year he said that Facebook is not advertising medium, but a branding one. Is Sir Martin Sorrell right about Twitter?